Use business strategy wargames to “experience the future,” understand the effects of developing trends and pending threats, and subject your business strategies and risk mitigation plans to the rigors of competition and market judgment before you commit to investments. Click on any of the images below to watch a video. Before the advent of business wargames, most strategic plans were based on a series of meetings where you brainstormed new business opportunities, projected the financial results, and prepared a detailed plan. As a result of poor results from such planning, business wargames arose to provide a much better way to think more strategically about likely future developments, consider competitor reactions, and do much better analysis and strategic thinking. The best-run and largest corporations use business strategy wargames to develop better business development proposals and strategic plans. Unlike a typical planning meeting where people temporarily leave their normal work to try to “think strategically” for a few hours, the wargame puts players deep into a future simulated market environment. Participants get to truly understand how key competitors are different and what their strengths and weaknesses are as they compete in a wargame with simulated competitors who are out to clobber the home company. The interaction between competing teams, moves and countermoves, market reactions, changes in the environment, gives you a much better view of how various strategy options are likely to work. A wargame exercise provides the right environment to break through conceptual barriers, inspire real strategic thinking, figure out likely competitor reactions, improve business development plans, and sharpen analytic skills. Wargaming permits your company’s personnel to try anything they could in real life over years or decades of future market and competitive conditions, and see the possible results. • Plan and announce new company initiatives (from new strategies and lines of business to different sales practices and tactics), buy and sell assets, invest in new products and services. • React to competitor’s initiatives and the multitude of new technological and policy developments that the market and control team keep injecting into the wargame. • In group wargames, see how companies from other industries react to the new technologies and “Black Swan” events to get new insights. Wargames are ideal for developing and testing new ways to capitalize on growth opportunities from expected changes and different new products and means of strategic positioning. To understand if a strategy is likely to work, it must be tried out under realistic conditions before it is actually implemented–only a competitive wargame can do this. 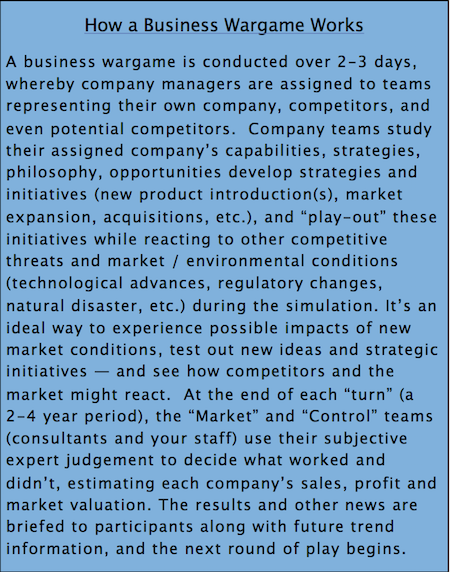 The result of company, market and control team interactions in the wargame show what is likely to happen to a strategic initiative. Wargames are also useful to assess the long-term sustainability of competitive advantages, and test means of dealing with your company’s relative weaknesses. Business wargames are the most practical means for management to make better competitive decisions short of launching the new product or service because the wargames involve competitor teams reacting to each other’s initiatives, working to promote theirs and defeat competitors. The market accepts or spurs your new offerings in the game, and you have an opportunity to adjust. This competitive process reveals critical vulnerabilities, destroys rosy assumptions, and leads to tremendous learning. Participants graduate with a host of good ideas, lessons learned, changes to conventional wisdom, and much better skills in analyzing and designing new products and business strategies. The potential impacts of new technologies, policy and regulatory changes can’t be imagined in a meeting, but can be explored and experienced in a business competitive wargame future environment. Wargaming is the ideal way to anticipate how competitors will react to contemplated initiatives, discovering vulnerabilities you can often now fix before you launch. The worst possible competitor reactions are likely to be played out in the wargame because the simulated competitor team in the wargame knows your companies capabilities and weaknesses. Indeed, in the wargames we’ve conducted, we find that the home company usually does worst in a wargame because the competitors (manned by your staff) know where to hit. So if you can design a good, competitive strategy in a wargame, you can have high confidence that you’ll be able to handle real competitors’ reactions when you do launch. What is the cost of an A3 wargame, and options for participation? • Field your team, plus several competitor teams, with some outside experts as well as A3 wargaming staff to play market and control teams, conduct research with your staff, and run the strategic business wargame process. • Send 6 associates for $25,000 and field both your company and a simulated competitor team. This dedicated competitive team option also lets your company submit an additional major strategic issue to play in the group wargame. Additional associates can be sent for $3,000 each, up to 12 total. Drew Miller, Director of Advanced Analysis Applications, and other associate consultants have developed and run wargames for many companies in several industries. Drew ran it for a group of grain companies that had recently merged to both develop a better strategic plan and to help personnel from the now combined firms get to know each other’s thinking and integrate better. Both objectives were achieved. Advanced Analysis Applications runs both traditional large one company wargames, and, in partnership with eos consulting, group wargames where you can send a small part of your management team — or even individuals — to benefit from business strategy wargames at much lower cost. A group wargame differs in several ways from traditional one company strategy wargames. First, there are a set of “strategic issues” that are simulated in the group wargame that participants must react to. You get to see not just how your company and its simulated competitor deal with the issues, but observe how other companies (suppliers or firms in other industries) deal with these major pending strategic changes. A second major difference is that depending on the number of people from your company who attend your simulated competitors in the business wargame may be played just by the market team. In a large one company wargame there are many competitor teams (all played by home company teams). In a group wargame if you bring six or more people (recommended, and discounted price for a group this size) you can form a simulated competitor team. If you bring one or a few people, your competitors will be simulated by the market team. 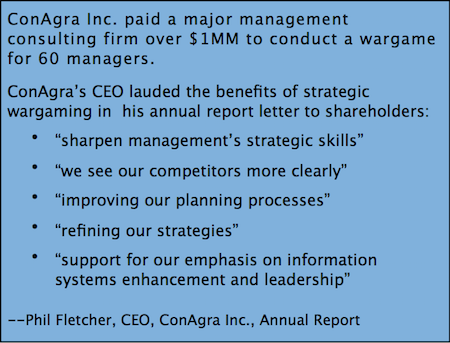 — Phil Fletcher, CEO, ConAgra Inc.
— Drew Miller, Advanced Analysis Applications. “A key advantage of business wargaming is that it can be scoped as broadly or narrowly as you wish. You can simply test a single new product or feature introduction or a series of strategic moves and counter-moves over a decade”. — Burke Files, Financial Examinations & Evaluations, Inc.
Why is the experience and insights gained so much better than a normal business planning session? Studies show that listening to presentations and lectures, attending a meeting, and other forms of passive learning are ineffective. The more participants are engaged, energized, doing their own thinking and, especially, arguing for their views—the more you learn and develop. The competitive environment and constant challenges and new threats/issues to deal with during a business wargame yields far more engagement, energy, new ideas, and learning. The “future environment” created in a wargame is difficult to explain, but a key part of the process and a key reason why people get so engaged and out of normal day to day views and habits of thinking. Wargames provide “Future Experience”. 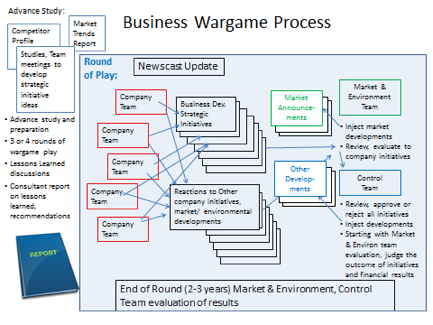 A business wargame simulation lets management and key personnel experience possible futures for your company and industry and test assumptions and ideas under strategic conditions with competitors and the market reacting to (and trying to defeat) the initiatives. Promising, new, unexpected strategic ideas can be found in these wargames along with insights that none of the participants had previously. Companies that have gone through wargames report that they gain both immediate ideas for strategic initiatives the company needs to undertake now, and “future experience” that they use later to more quickly recognize threats and opportunities as they arise. In his famous book, “The Rise and Fall of Strategic Planning,” Henry Mintzberg condemned corporate strategic planning as a failure, based on unrealistic estimates of future conditions, with ideas disconnected from operations, developing detailed plans that are unrealistic and doomed to failure. Hours in the best brainstorming sessions can’t match the insights of a wargame because they do not get associates deep into thinking about and experiencing future conditions, and do not involve the competitive dynamics of a wargame. Business wargames were developed as a solution to the shortcomings of strategic planning and brainstorming to get much more in-depth, realistic, challenging learning and development conditions that produce much deeper analysis and insights. Wargames also lead to much better strategic thinking and business development proposals because managers don’t have or won’t take the time to deeply think strategically. The time devoted to a wargame, along with the process, gets you into deep strategic thinking and much more critical analysis of the likely competitive and market reactions. Wargames yields far more intense, innovative, and realistic insights than typical strategic plan “brainstorming” sessions. If my direct competitors aren’t participating, where does the “strategic interaction” come from? If you send a six associates or more, you can include a simulated competitor(s) in the game that have full play as a company team. If not, the market and control team will simulate reactions and counter-measures of your direct competitors. You will also get strategic reactions from suppliers and customers who may be directly playing in the wargame, or simulated by the market and control team. The strategies played by participants in different levels of the industry definitely affect each other since primary materials producers, intermediate component makers, and final goods manufacturers are all tied together. 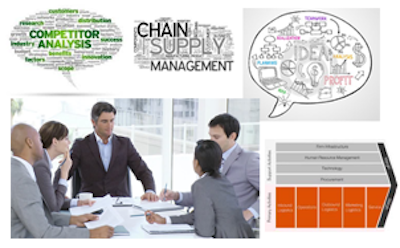 Changes in international trade will have diverse impacts on different levels of the industry and types of companies, but changes anywhere in your supply chain and the marketplace will impact your firm’s results. Finally, you’ll see how companies in other industries react to the strategic issues and challenges of the game; picking up great ideas and insights you can apply to your firm and industry. How will I get a good read on the behavior of my own suppliers and customers if they are not participating in the business wargame? We need not have participants from each level in your own industry, because we can project into your industry the strategies of suppliers or customers participating in the game from other industries. 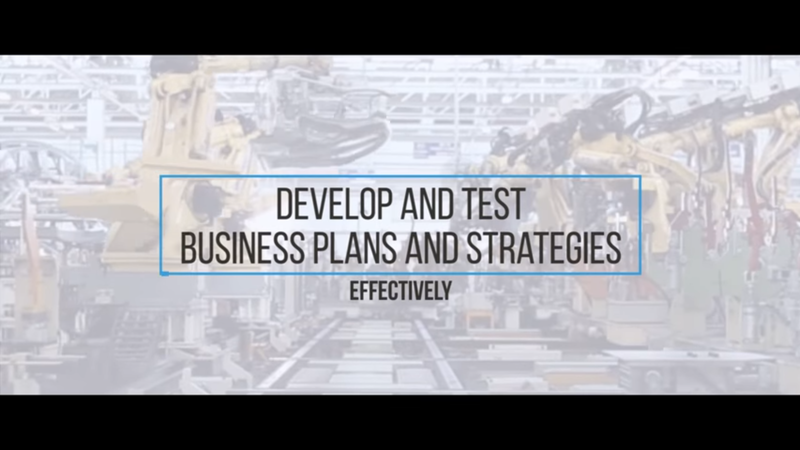 The reactions of suppliers and customers in other industries will also provide great insights. You can encourage firms to recommend that their key suppliers and customers participate in the wargame. We will not, however, allow any direct competitors or other firms you do not want to have play in the wargame participate. Won’t other companies steal the great ideas I pitch at the wargame? We don’t allow direct competitors to be in the same wargame, and all participants sign agreements to keep knowledge and insights gained confidential, disclosable only to associates in their firm. There are almost no great ideas you can come up with that won’t have some unexpected problems and vulnerabilities. That’s the power of a competitive wargame—other teams work to defeat your great ideas and initiatives while advancing their own. You are better off exposing as many great ideas as possible during the wargame to get the reactions and feedback from the Market/Environment team, experts on strategic issues covered in the wargames, and challenges from other players. If you do think your idea is too fantastic to share you can keep it to yourself; but you should take advantage of this future market, competitive wargame to test ideas and discover shortcomings. A3 also offers one company wargames if you don’t value the insights from other companies with different perspectives and ways of operating, or fear a great idea that comes from a group wargame without your direct competitors may nonetheless reach them. If you firm can afford the higher cost of a one company wargame, and get 30 to 60 of your associates together for 3 days, this is a great way to both improve your business plans and develop the analytic skills of your management team. What do participants cite most often as benefits of a business wargame? • Far more intense, innovative, and realistic insights than typical strategic plan “brainstorming” sessions–much better understanding of competitors, industry trends, and how to deal with them. • Everyone reports unexpected results materialize, a problem or opportunity they had never considered or dismissed in the past is now seen as critical. • Participants consistently note that their view of the world has changed; they are aware of some unrealistic assumptions they had previously, far more attuned to pending changes, and think more strategically now—meaning an idea is evaluated not just based on its immediate advantages to the firm, but how competitors will react. • Many wargame participants report that they benefit from a better understanding of the difficulty and importance of clearly communicating their new products and initiatives. The wargame format forces you to briefly explain it, and you can see how the market fails to get your message, and the consequences of this. Ideas that make sense to one company’s management team are often viewed very differently and misunderstood by others. Since we only allow one company per industry segment (so your direct competitors will not be there), the sooner you sign up the better. If your competitors sign up for a session before you we won’t be able to accommodate you in the wargame. If you sign up and later can’t attend you are welcome to substitute another associate from your firm. What do I need to do or bring to prepare? We will send you background information to study before the wargame, and request some industry information from you. It is very worthwhile for you to send an associate who knows your competitors and their capabilities. You should know the general outlines of your own manufacturing network, and it’s helpful (but not required) to know something about where your suppliers’ operations are based. Are the findings of the wargame written up for participants? Yes. A3 wargame staff captures all ideas and writes the after-action report summarizing lessons learned and findings in the wargame. You will receive a confidential report, which cannot be distributed outside your firm, a few weeks after the wargame. Many respondents find that reviewing these reports later provides valuable data and intelligence for shaping later follow-up when actual or related trends played in the wargame start to manifest. What facilities do you need for a wargame? Breakout rooms are essential, and one nice room for presenting to the whole group. For wargames conducted in Colorado Springs we use A3’s state of the art training facility. What are fun things to do in the area? Colorado Springs has the world famous “Garden of the Gods” rock formations, and lots of natural wonders and trails to explore. The cog railroad ride up Pikes Peak and the Broadmoor resort, Manitou Springs, the US Air Force Academy are all top tourist attractions. Ventures into the mountains, gambling in Cripple Creek, and trips to Denver (an hour north) are also very popular. Where do you recommend participants stay in Colorado Springs? The Garden of the Gods Country Club is recommended both for the scenery and quality of the accommodations and because breakfasts and the final lunch and out briefs are held there. Lower cost accommodations near the training facility are also available. A3 has hosted tour packages for spouses during the wargame, and hosted mountain trips for the weekend after the wargame for those who want to combine a short vacation with the wargame. Contact A3 for details.